The Carbonphone RU-80 Reviewed In Recording Magazine! 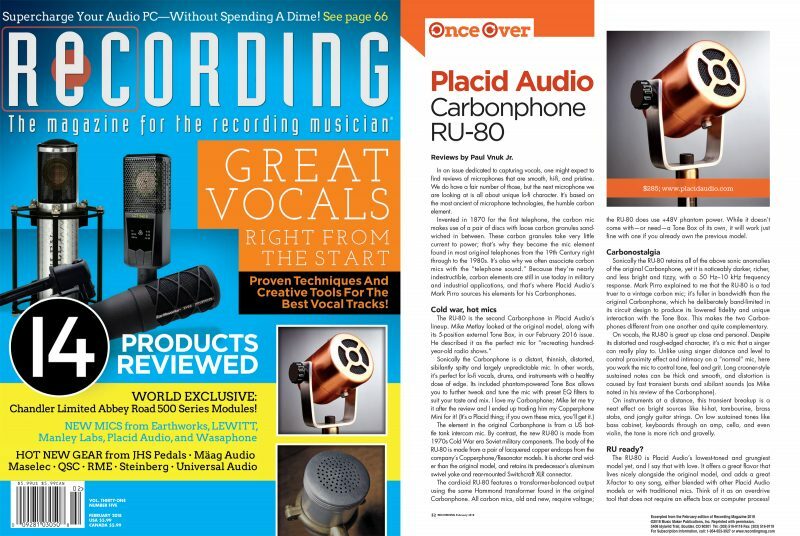 The Carbonphone RU-80 gets a rave review in the Feb 2018 issue of Recording Magazine! Read the full article here. 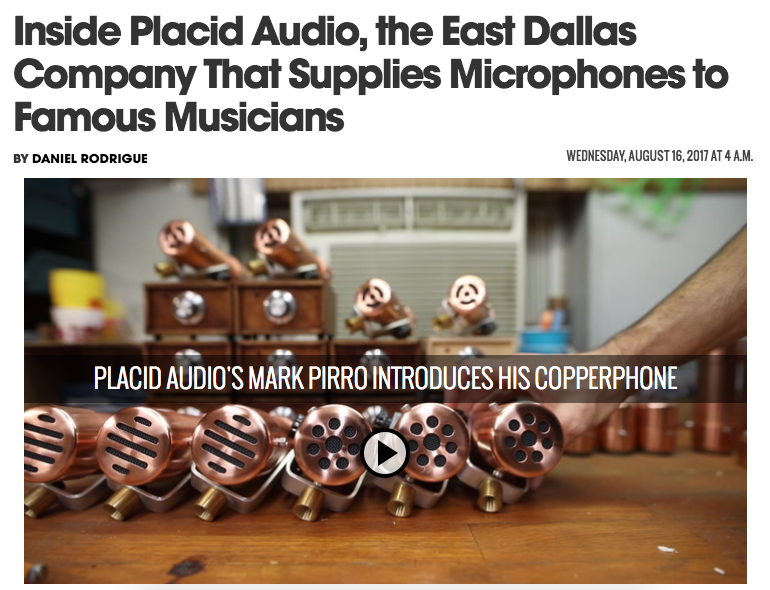 The Dallas Observer Covers the History Behind Placid Audio! Happy to have sat down with Daniel Rodrigue of the Dallas Observer to talk in detail about our little company… Read the full article here. The Resonator A & B Reviewed TapeOp Magazine! 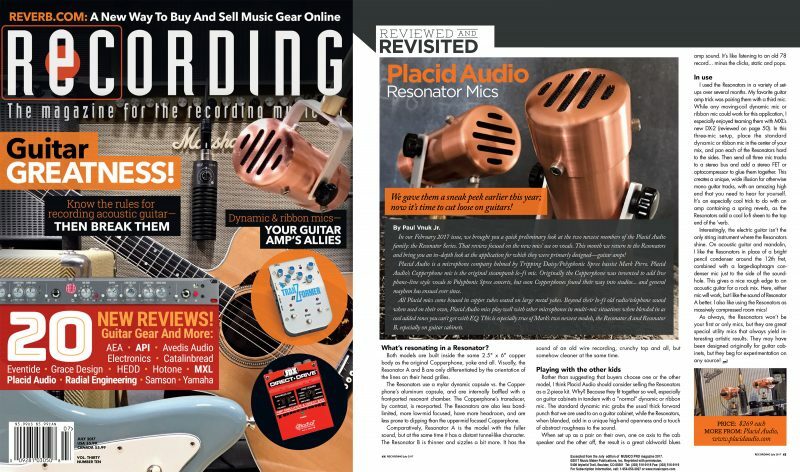 Veteran engineer Joel Hamilton weighs in on his thoughts about our new Resonator mics in TapeOp Magazine! Read the full review here! Warren Huart tries out the Placid Audio Copperphone at Vintage King with Alex Oana. Copperphone Reviewed By Mix Magazine! Fifteen years after it’s inception, the Copperphone is still getting the spotlight. This time in Mix Magazine. Read the full article here! In depth video review of the Copperphone on various instruments by Andrew Koss of Terminus Recording Studios. 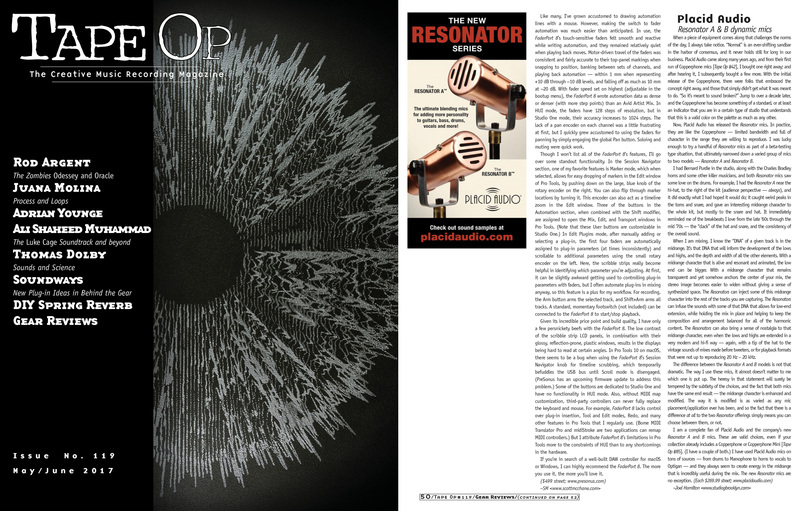 Copperphone Reviewed By Audio News Room! More than a decade later the Copperphone still getting rave reviews! 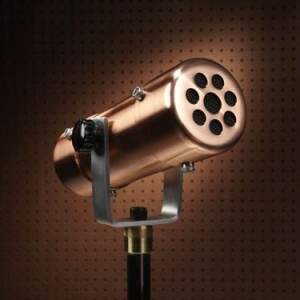 This time the Copperphone is featured on AudioNewsRoom.net. Read the full article here! Some lo-fi guitar recording with the Recovery Effects pedal ‘The Cutting Room Floor’ and a Carbonphone/Tone Box and Resonator A! 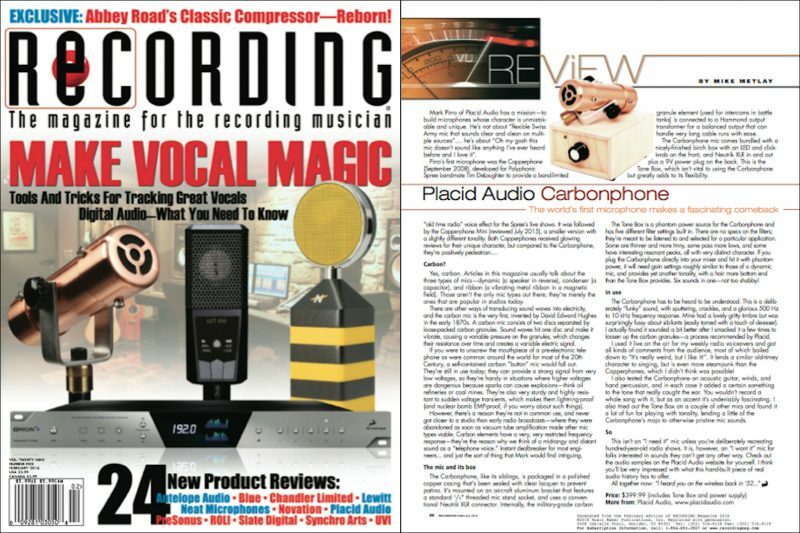 The Carbonphone Makes The Cover Of Recording Magazine! 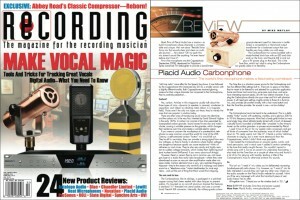 Extensive review of the Carbonphone in Recording Magazine! Read the full article here.